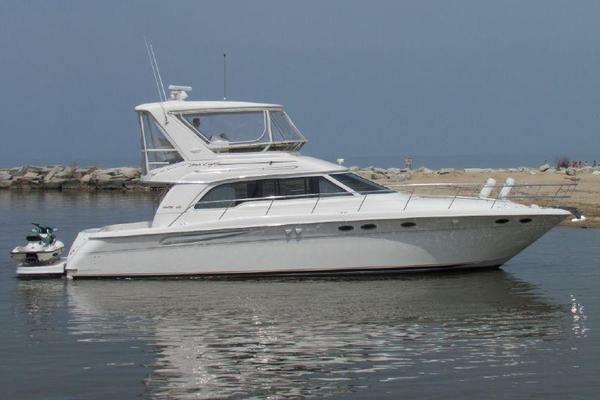 Very nicely kept Sea Ray 420 Sundancer. 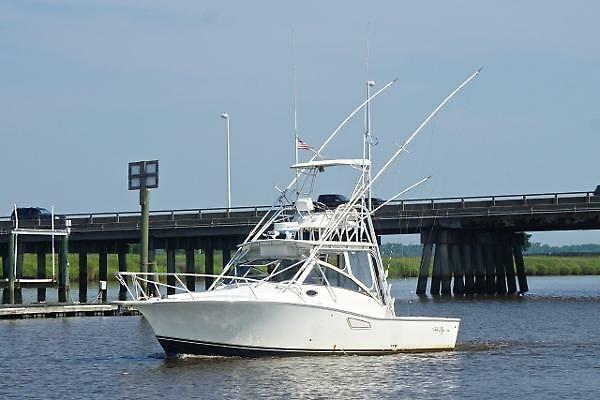 Owners are seasoned boaters and have kept the boat in fantastic condition. Service records available. Boat was maintained very well and was on a wash schedule every two weeks. Custom Rear Shade is very nice for keeping the cockpit cool. Mercury Installation Quality Certification – As a result of achieving the Mercury Marine Installation Quality Certified status, all MerCruiser-powered Sea Ray boats, registered on or after July 5, 2004, will come standard with a two-year Mercury limited engine certification program is a boating industry first.